Montpelier, VT – Friends don’t let friends sit inside all winter. 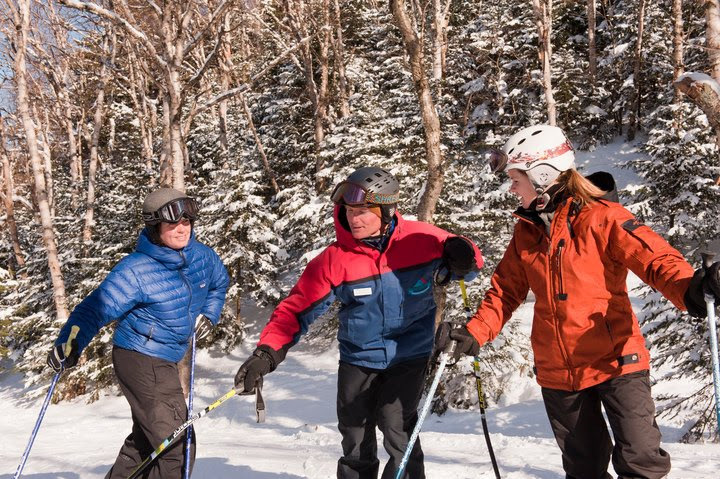 Introduce someone to skiing or snowboarding this season, for beginner lessons at Vermont resorts are for anyone looking to pick up a winter sport and enjoy time in the state’s beautiful Green Mountains — and there could be a benefit for you. The Take 3 Beginner Package encourages new skiers and snowboarders to get out on Vermont’s mountains for three days of lessons for only $129. Each day includes ski and snowboard rentals, a beginner lesson with a professional instructor and a beginner lift ticket. Purchasers can choose to redeem the three days at three separate resorts or all at the same resort. Participants of the Take 3 program will also have a chance to win one of ten beginner packages from Rossignol or Burton Snowboards at the end of the season. To learn more about the Take 3 Beginner Package visit SkiVermont.com/take-3. Vermont children can save even more. 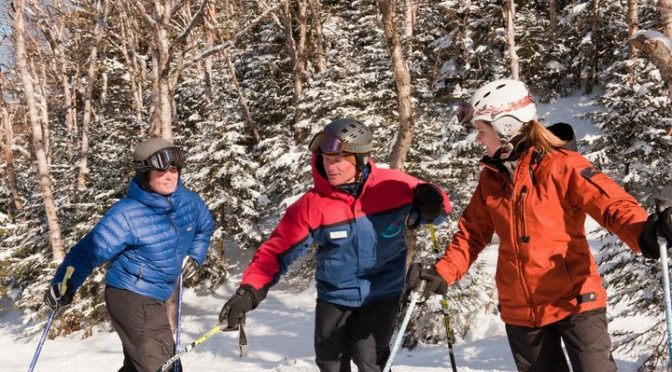 Each winter the Vermont Governor’s Council on Physical Fitness and Sports works with Ski Vermont to provide Vermont youth with affordable opportunities to get them out on the slopes of their home mountains. Thanks to this partnership, 125 Vermont children will get to experience three full days on the mountain with lessons, rentals and lift tickets for just $49 this season. To learn more about the council and this year’s subsidized Take 3 Beginner Package visit VermontFitness.org. January is national Learn to Ski and Snowboard Month and in Vermont that means $49 beginner packages at participating resorts. Packages include ski or snowboard rentals, professional beginner lessons and lift tickets accessing Vermont’s beginner terrain. To learn more about participating resorts and purchase packages, visit SkiVermont.com. In its 18th year, Ski Vermont’s Fifth Grade Passport program allows fifth graders to ski and snowboard up to 88 times a season for just $10. The passport helps children to develop healthy active habits and introduces them to sports that can span their lifetime. For the second year now, proceeds from the passport will go to the Working Lands Enterprise Initiative. To learn more about the Fifth Grade Passport and the rules and regulations go to SkiVermont.com/FGP. Bring a friend or family member to the mountains this season and get rewarded. Simply introduce a friend or family member to the sport of skiing or snowboarding by purchasing a Take 3 Beginner Package for them. Purchasers could be rewarded with two lift tickets to a Vermont resort or win a two-night ski & stay package for the 2018-19 season.